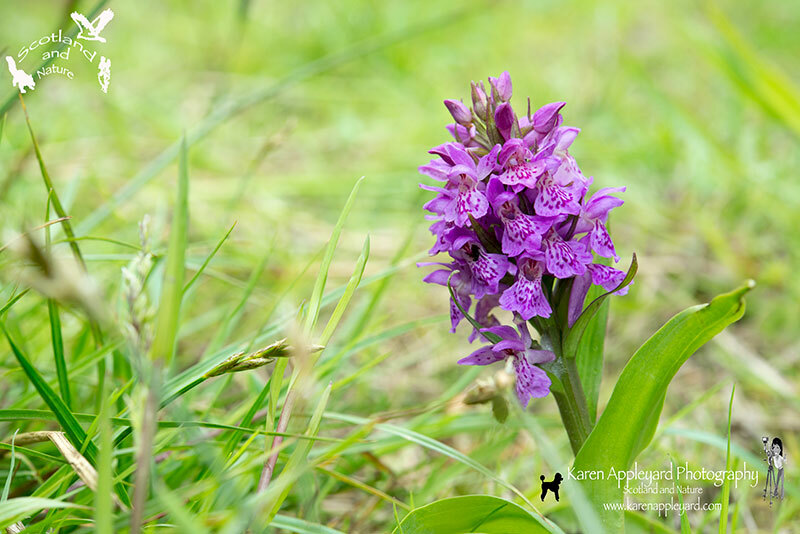 Last year, whilst out walking McBasil, we came across an Orchid, just one, not another in sight. This year, curiosity got the better of me and I decided that Barclay and I would venture back to that very same spot to see if it had shown again this year. First visit, there was no sign of it, but, things are about a week – 10 days behind this year compared to last, so we we would take another trip in search of it. This time we were rewarded for our troubles, there its was! 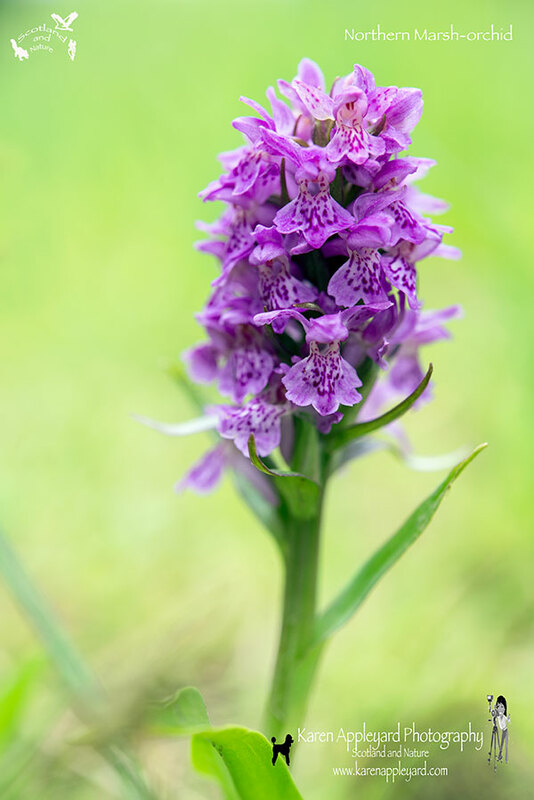 Now I am not that great on Orchid identification, but giving its colour and location am opting for a Northern Marsh-orchid – Dactylorhiza purpurella. It may look a sturdy wee thing, but it is not, it was just hanging onto its spot and I certainly wouldn’t have wanted to knock/touch it! 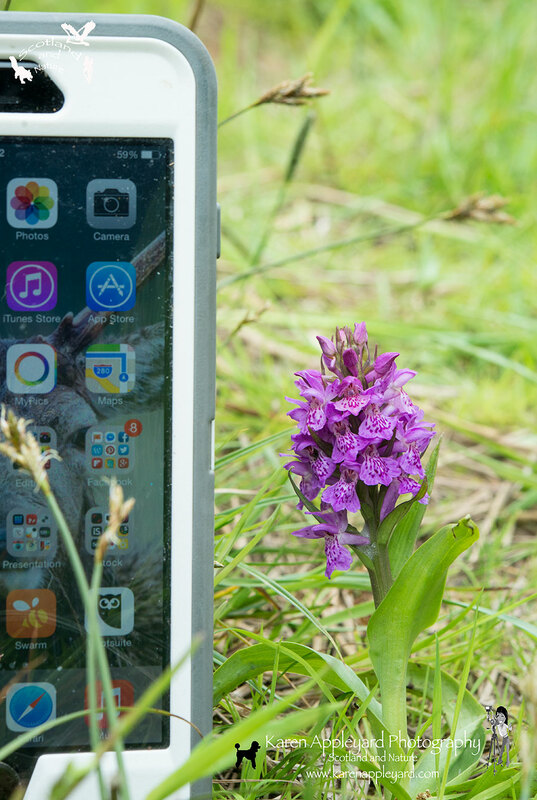 It wasn’t that tall either, as you can see from the 2nd image as its measured against me iPhone 6plus (Approx 17cm), the Orchid stands at 12cm. Last year, it was only around for approx 2 weeks.